Kids quilts are always fun to make! They are bright, colorful and hopefully make you smile. 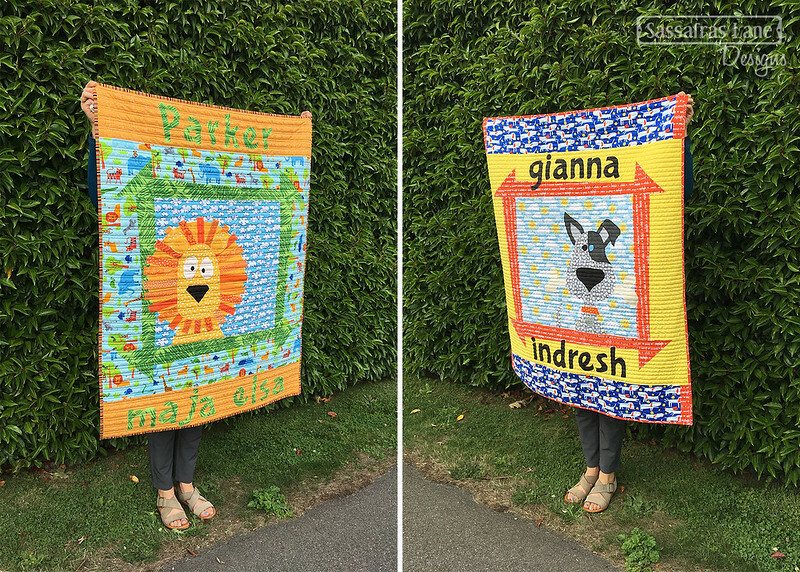 We have two little neighbor girls who have birthdays within days of one another - so naturally I made some quilts as gifts. Parker is a shy, silly and completely endearing little girl turning 3. She has a stuffy lion named Bashful, so I decided to make her the lion from our Zoey’s Zoo pattern. I pulled assorted yellow and orange fabrics for the lion face and put it on a fun cloud background. I bordered this with a leafy green fabric in the wonky churndash and a whimsical safari print as the border. The back fabric is a fun cuddle cloud print, perfect for snuggling. Gianna, our little neighbor who is turning two and learning to talk, loves to stand on her deck and have a conversation with our pups! 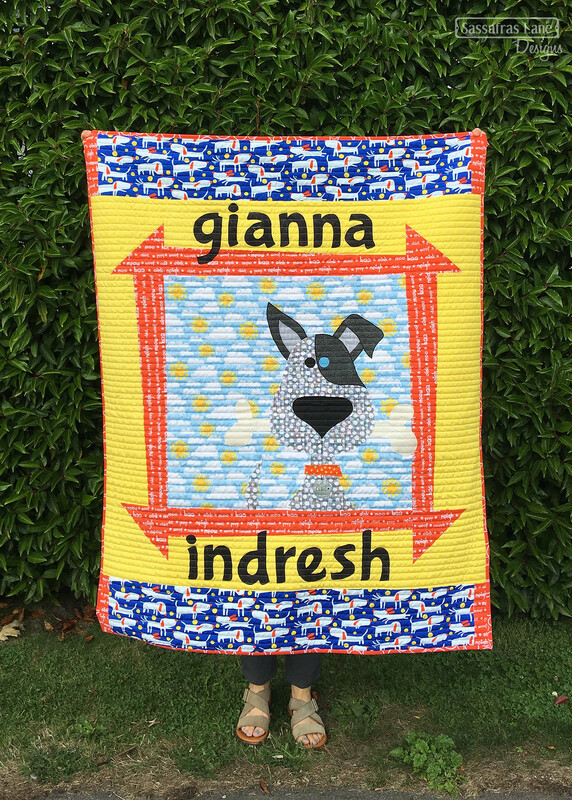 She says, “Hi Shelby, Hi Elsie!” So, of course she needed a dog quilt! I used our Finley’s Farm pattern. The pup is on a fun cloud fabric, the wonky churndash is an adorable orange fabric with all the sounds animals make and I found the cutest Weiner dog fabric for the borders. Both quilts have a soft fluffy backing and were quilted with modern straight lines. 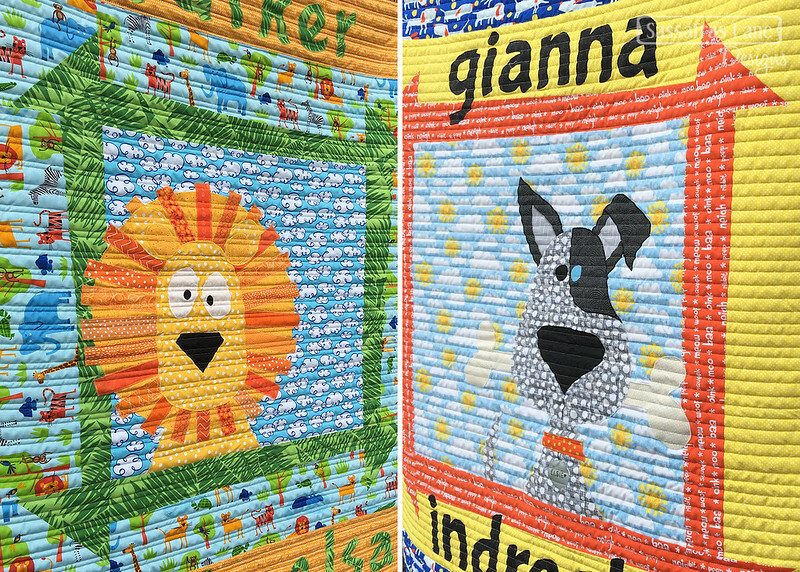 Our Sammy’s Safari, Zoey’s Zoo and Finley’s Farm are so fast and the reversed, ready for tracing alphabet make these quilts my go-to for kids and babies!